Have you ever imagined a Hall of Fame NFL star showing up at your corporation’s Super Bowl Party? AthletePromotions.com has the ability to make this a reality, with access to thousands of top celebrity athletes including the best NFL stars from the past and present, who are happy to make an appearance at Super Bowl parties, and all you have to do is contact us to make it happen. By calling our agents at 888-246-7141 or filling out this simple booking request form, an appearance at Super Bowl parties hosted by any type of corporation by your favorite NFL celebrity can help boost employee morale or even get you that coveted client. If you want a great incentive that will boost your worker’s performance as well as create a positive atmosphere, consider allowing us to book your favorite football star for one of the most popular sports events of the year. Hiring a famed athlete has been proven to draw positive attention to your business as well as making it an event that will be remembered for years to come. As the number one sports booking agency, AthletePromotions.com can help make it happen. 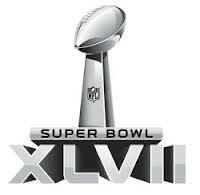 Now it the time to book an NFL player for your Super Bowl party or corporate event. >>> Book a Sports Celebrity for Your Super Bowl Party.